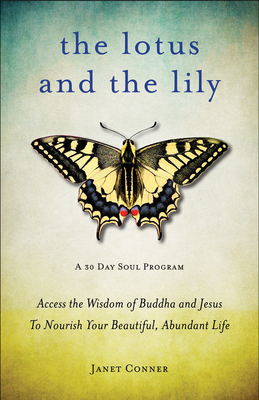 From the bestselling author of Writing Down Your Soul comes a new book based on the teachings of Jesus and Buddha about how to create an abundant life by focusing your attention on your connection with the vibrant presence of the divine within. The Lotus and the Lily offers a new 30-day program for accessing your true creativity, breakthrough thinking, and divine guidance. Janet Conner continues her unique method of deep soul writing by showing readers how to exit their conscious minds, get in touch with their authentic selves, and activate the voice of wisdom within. How to experience the generative power of your own voice. Janet Conner is a popular writer and speaker with a simple message: We all have innate spiritual intelligence; we just need to know how to activate it. In her books, events, and worldwide courses, Janet shares practical spiritual tools that engage your soul, activate your divine voice, and magnify your creative potential. Janet is the author of its companion journal, My Soul Pages (Conari Press, 2011). Previously, she created Spiritual Geography, the soul writing system that heals the broken heart. Janet lives in Florida where she is exploring the ultimate question: What does your soul want? Visit her at writingdownyoursoul.com.